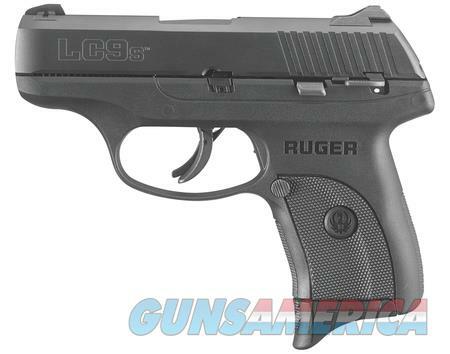 Description: Ruger LC9S Striker-Fired Compact 9mm 3.12 Inch Blued Barrel, Adjustable 3-Dot Sights, Striker-fired with a short, light trigger. Slim, lightweight and compact design. Blued alloy steel slide and black, one-piece glass-filled nylon grip frame. Checkered grip frame. integrated trigger safety, manual safety, magazine disconnect. One 7-round magazine.